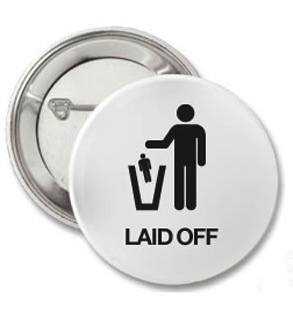 So you just got laid off, or you fear you will be – now what?? Here is a list of “famous folks” who also unceremoniously received the axe from their jobs and still managed to strike it rich (and famous, lol). wouldn’t happen to him again – so he went solo. attacks – now he has a thriving uncensored show on HBO. of confidence and style, and fierce as ever at 51. I was laid off twice in six months from the same place of work and have written a book on it, called, “Smile, Breathe & Laugh Off A Lay Off.” It is a timely book given how many have been laid off, and still are. The other day, HP announced that they were laying off 25,000 employees. My book provides simple, inspiring, uplifting and rejuvenating tips on how to go through that difficult phase of one’s life with a positive attitude and cheerful demeanor. I would be most grateful if you would have a look at my book…I can email a PDF copy or send a hard copy. Some info is available on my website at: http://www.diversitydiscover.com/publications/index.html. I also have a facebook page on it (smilebreatheandlaughoffalayoff) and also touch upon it in my blog at: http://diversitydiscover.blogspot.com/ — and would welcome others in a similar situation to share their story. Dealing with being laid off is a psychological, financial and health issue, besides being a professional one. If you could do a report of the issue and on my book I would really appreciate that. I am still unemployed and have brought this book out with limited funds as an e-book and also a few printed copies. I would like to bring out more printed copies but have no money to do so. I am hoping to help others in a similar situation with my book. Look forward to hearing back, best regards.